Location... Location... 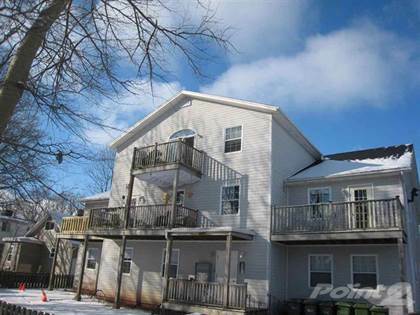 Excellent City 10 Unit Apartment Building tucked away on a Private Mature Lot offering ample paved parking for tenants, in the heart of Downtown Charlottetown. Located a block away from Holland College, and walking to all the downtown Amenities. Well maintained and managed building with excellent mature tenants with little turn over, seldom a vacancy. The building exterior is Hardiplank, many units have been renovated in the last year and have large patio decks. There are spacious 5 - 2 Bdrm Apts and 5 -1Bdrms Apts. The top floor Penthouse Suite has 2 Bdrms, 2 baths, in-suite laundry and is approx 1500 Sq Ft, it has been renovated and has a single mature excellent tenant. The building offers a laundry room with Coin Operated Machines and multiple xtra large storage units located in the lower level for additional income. Buildings like this don't come for sale ofter! To View and for the financials contact Listing Agent. A 48 Hour notice to view and proof of ability to obtain financing. \r\rDon't miss out on this great investment opportunity! Contact listing agent for more details. Hi, I'd like to find out more information about 155 Cumberland St. Thanks so much!